Ceramic ramekins from Browne Foodservice are fantastic pieces for food preparation and serving because they can go from the oven to the table top! 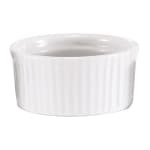 Use this 5 oz ceramic ramekin as personal size portion dish for quests or yourself! 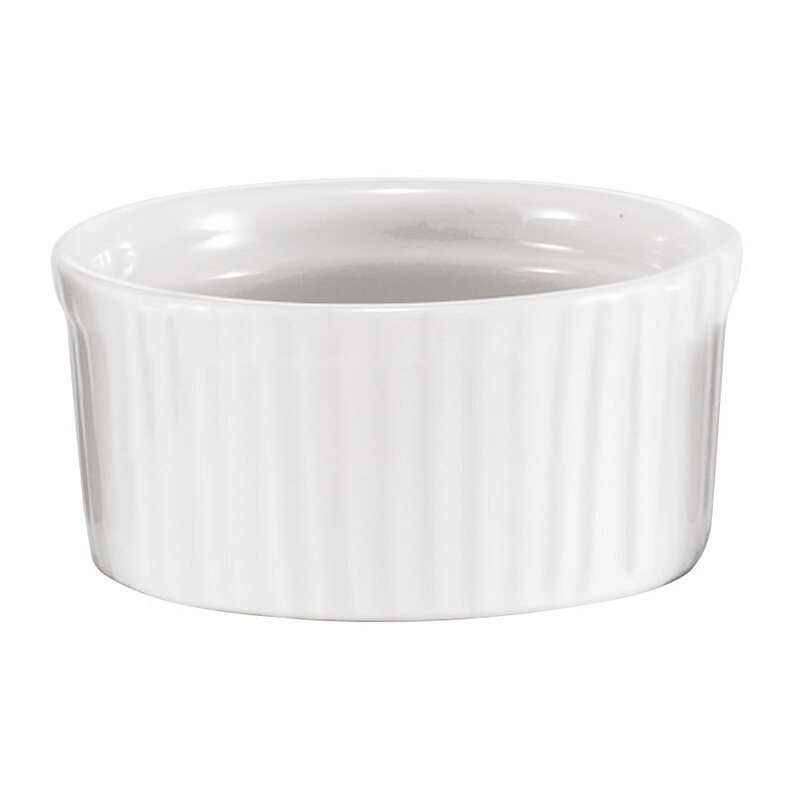 This ceramic ramekin has a white ribbed constructed for excellent grip. The 5 ounce capacity is ideal for small dishes, soups, and even dipping sauces! A perfect addition to serveware, this ceramic ramekin will provide years of use at an outstanding price!